Money can’t buy you the best Spanish course–it’s free. And it’s called Complete Spanish, the Thinking Method by Mihalis Eleftheriou. A well-thought out collection of 90 audio lessons (each about 10-15 minutes long) for Spanish learners, which start from the absolute beginning and cover almost every minute detail there is to the language. Firstly, you will learn Spanish in a very different order than you are used to (if you’ve not yet begun learning, this is the best thing you can lay your hands on). For example, we don’t learn the Spanish word for “yes” until lesson 9, but around the same time we learn how to make sentences such as “I am not trying to justify myself, but I want to explain something to you.” Strange, right? And no memorization or rote technique involved here. In the lessons, Mihalis teaches to a real student who is learning the material for the first time. If you’re familiar with the Michel Thomas courses, you can draw the similarities. What I like about this is you follow along with her at a natural pace, so you feel like it is a real experience, not a rehearsed one. Perfect for students at all levels: from total beginners to intermediate learners. It’s never too late to change your ways! Vocabulary–besides the language transfer words and the ones used in the course. Yeah, you can’t ditch the dictionary. Not yet; not ever. You may be able to form any number of complex, weirdly difficult sentences with impeccable grammar and precise pronunciation, but how awkward would it be if you stall because you don’t know or can’t recall the “Spanish word” for something? Super awkward! Falling short on vocabulary will render all that learning useless. Practice-Practicing what you learn is important if you don’t want the previous lessons getting foggy in your brain as you proceed further up. What’s more, the course pushes you to understand how to analyze language, how to think about it, how to get interested in it. . . One thing you’ll realize is nothing is as difficult as it’s made out to be once you start thinking about it. It doesn’t unnecessarily spoon-feed you though. So if you want to know how to say “apple” you use that dictionary, and if you want to say “mouth” or something listen to anything from the latin-pop charts! Learning through memorization, which is how Duolingo, Rosetta Stone, and other courses teach you, is slow, tedious, and requires frequent repetition because your brain can only hold so much memorized information. I’m not saying other methods of learning are stupid; if something works for you better than the rest you stick with it! In my case, the Thinking method did it. There are a lot other things in life where you have no other option than memorization–I just think a creative process like language learning is better without it. My take is listen to the first lesson, and don’t tell me if it didn’t work. Cause if this doesn’t work for you, I don’t know anything else that will! 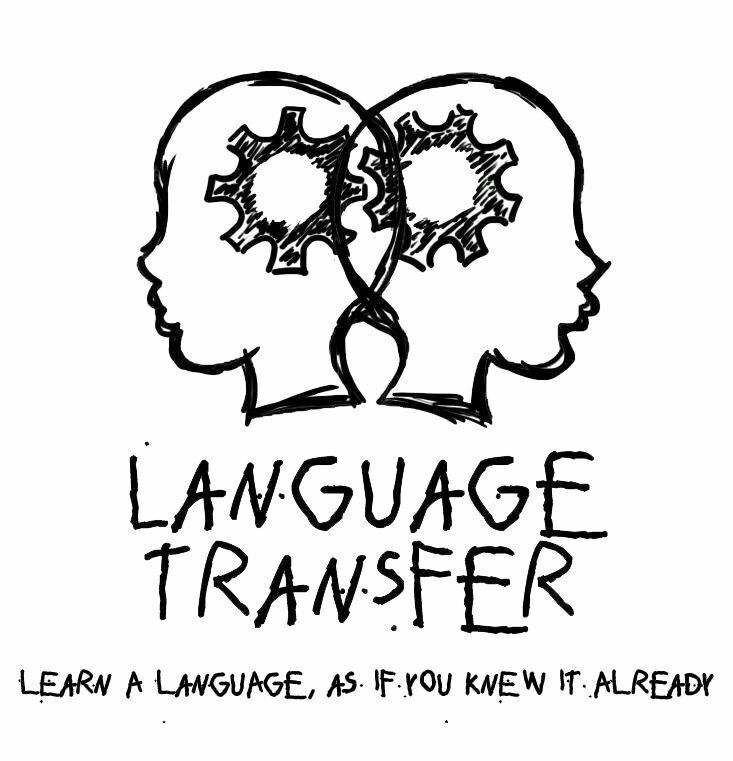 You can download it from the Language Transfer website, stream on youtube, souncloud, or any other shady website you’re used to. I still don’t get why this stuff is available for free! As they say, the best stuff in life is. *apple is manzana by the way. I’ve been interested in learning a new language for awhile now, and have to say this sounds pretty interesting. My brother is currently trying to learn Spanish so I’ll be letting him know about it as well. Thanks for the great review! Umm…sorry but I don’t really have a thing for French. Lol In French, you say zut when you can’t swear, it’s similar to ‘damn it’ or ‘heck! I’ll lookup that website, thanks! Also, what accent has he? Thank you for sharing this because I had not heard of the free Language Transfer courses before, though I wish that they had an Esperanto course for English speakers since that is the language that I am currently studying (maybe one day they will make a course for it), but it is good to know that they have Spanish and French et cetera courses in case I ever return to trying to learn one of those languages again. Let’s hope they release an Esperanto course soon. I love the thought that went behing its creation; thanks for that vid 🙂 And you can always return to language learning, this guy makes it interesting. Yeah, that is one of several things that I liked about Esperanto, you are welcome. If you build a virtual community it helps, but yeah it’s alone more or less. The language is very cool though, as tough and twisted it is! I imagine that would help, and I hope that you find someone to learn with / from one day if you decided to give it a try again. Especially the French dub in my opinion which made the movie feel more mysterious and scary and just better, I watched the French dub first, the Japanese dub second, and the English dub third (which I did not like even though that is my native language :D). Cool, I never seen that anime other than a few video clips that one of my brothers showed me which made basketball look more dramatic et cetera in that usual anime-style, but he saw that show. Now most of the anime that I see is on Toonami on Saturdays. Maybe not that bad, but after seeing the French version first the English version just could not compete to me. You should 🙂 Thanks for reading! Oh that’s entrancing. This approach attracts me. I went straight to the website but alas, no Korean, the language I need to understand. Thanks for the info. I have been getting back into studying Spanish for a while (I used to study it for four years in high school and stopped) by a language study course that someone gave me last week. But Japanese is always getting in the way since I have an exam next month. Thanks for dropping by and best luck for your exam! I’ve noticed that non-wordpress users are unable to comment on my posts, inspite of the settings in place. It’s just one of the many WordPress bugs. Sorry for the inconvenience. Let’s hope it fixes itself. I’m so excited to check this out. After reading this review I feel it will work out for me. Let’s hope! Let me know when you do. I know it will work for you! Thanks for dropping by..